So many awesome textures going on in this Valentine look! I absolutely love your rosette clutch and those fantastic tights. Wow! Everything you're wearing is beautiful! Love those tights, how unique! This is to die for. 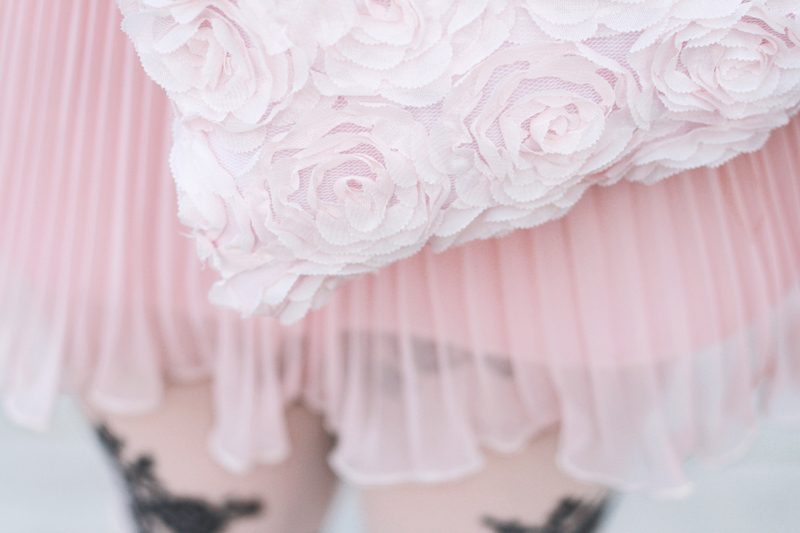 Those dreamy shades of pink are wonderful. I love the location too!